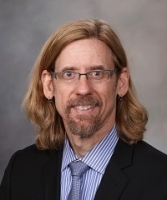 Mark Wehde is Section Head of Technology Development within the Mayo Clinic Division of Engineering (DOE). His group specializes in technology innovation and medical device development. Mark is very familiar with regulations and standards for medical devices as he has been a core member of the team that developed the DOE quality system. He is also the sponsor and a member of the DOE Engineering Project Safety Subcommittee and the reprocessing and biocompatibility workgroups. In addition, Mark is a member of the Mayo Clinic Medical Device Sterilization and Disinfection Oversight Group, he has a faculty position in the Quality Academy, is a facilitator in the Office of Leadership and Organizational Development, and is an adjunct lecturer for the University of Wisconsin – Eau Claire MBA Consortium. Mark is returning for his second year as a juror for the MD&M Medical Design Excellence Awards. He is also a reviewer for the IEEE International Symposium on Medical Measurements and Applications and the vice chair of a technical activity committee in the IEEE Technology and Engineering Management Society. Mark received a Master of Science degree in Biomedical Engineering from Iowa State University, a Bachelor of Science degree in Electrical Engineering from South Dakota State University, and an MBA from the University of Wisconsin – Eau Claire.